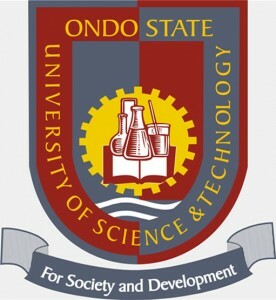 Ondo State University of Science and Technology (OSUSTECH), Okitipupa has commenced its On-line registration for the screening exercise for admission into ALL Programmes in the University for 2018/2019 Session. Candidates should note that provisional admission would be offered on the basis of first come, first served. Candidates who made OSUSTECH their first choice of institution and scored 180 and above in the 2018/2019 UTME are eligible for screening. In addition, candidates must possess five (5) ‘O’ Level Credit Passes in relevant subjects including Mathematics and English Language at not more than two (2) sittings. Candidates who chose the University as second choice or did not choose it at all are advised to do a change of institution to OSUSTECH as first choice on JAMB website before registering. Recommended: List Of Courses Offered by OSUSTECH & Requirements. How to Apply for OSUSTECH Post UTME Screening. A sum of Two Thousand naira (N2,000.00) only is to be paid to any bank in Nigeria through Remita platform. 1. Log on to www.remita.net. 7. Click “How do you want to pay” and select the channel of payment which could be Internet Banking, Mastercard, Visa and so on. 8. Submit and print the electronic receipt of payment which contains a unique Remita Retrieval Reference (RRR) number.